It's 2010 and I'm sitting here, trying to come up with something original and witty to write. After all, the very first entry of a new year should be something special. On second thought, why should it? The fact of the matter is, nothing particularly interesting has happened lately, and just because it's 2010 doesn't really change anything. Unless having a cold counts, since I haven't had one in ages. Christmas has come and gone, and I did buy a couple of games, which you could call a gift to myself, but it's not like I wouldn't have bought them anyway. Besides, Christmas isn't about the games. 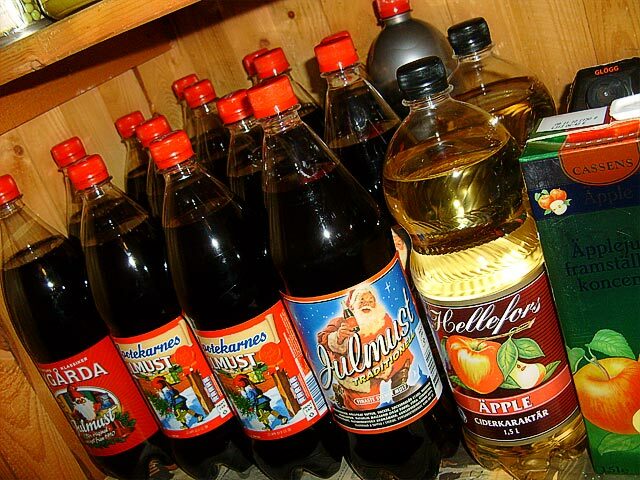 It's about consuming obscene quantities of julmust, and if you don't know what julmust is, look it up. Not to mention you're missing out. Like I said, I did buy some new titles. 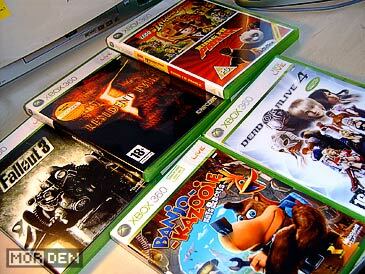 Microsoft's Xbox 360 received the most attention, with no more and no less than six games added to my library. I finally got my hands on Fallout 3, Resident Evil 5 and I hunted down a premiere copy of Dead or Alive 4. On top of that I bought a cheap bundle including Kung Fu Panda and Lego Indiana Jones. Just before the New Year I also found a cheap copy of Banjo-Kazooie: Nuts & Bolts. I'm a huge fan of the Nintendo 64 installments, and even though I'm not crazy about the machine building aspect incorporated in the new game, I had to have it. I also bought a BluRay player, bundled with twenty movies, all Warner Bros. I don't have a proper high definition home cinema setup, but it was too cheap to pass up. Besides, it's becoming increasingly difficult to get a hold of decently priced HD-DVD movies, and you can't get the new stuff on HD-DVD, anyway, so the time was nigh to invest into BluRay. 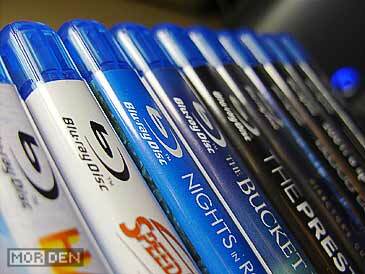 And no, I don't think PlayStation 3 does just as good as a dedicated BluRay player, because it doesn't. Ok, back to games. 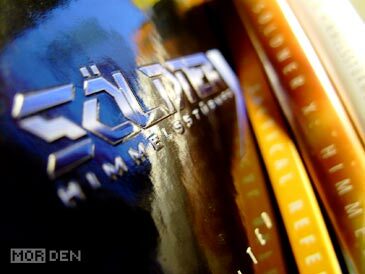 Another recently obtained game that deserves a mention is Söldner-X, an R-Type'ish horizontal shooter with which comes in a really nice box, packed with extras, including a music CD and a hardcover guidebook / artbook. It's actually my second copy of this game, but Play-Asia has it on sale for a mere $9.90, so get yours while you still can. The domestic retail editions are never enough, so every now and then I have to get my fix of imports. This time I bought something slightly more interesting - The two PlayStation 2 discs you see in the picture are promotional demos which were given to those who attended the PlayStation Festival 2000, which took place in February of that year, and was held at Makuhari Messe in Chiba. I'll try to write more about these gems later, so stay tuned. Rare promo materials aside, the best find of 2009 is, by far, the set of six brand new, shrink-wrapped GamePark 32 games I scored for about $70. 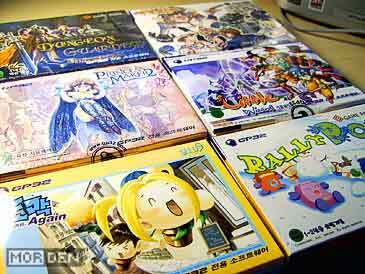 Since GamePark was exclusive to Korea, the games were released in considerably smaller quantities than those released for systems exclusive to Japan, WonderSwan being a good example. 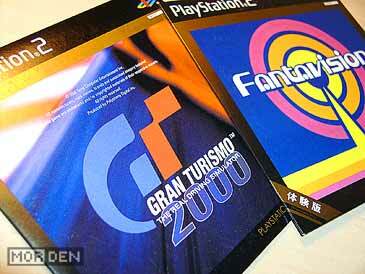 The reason why it's so hard to find commercial GP32 games these days is the nature of GamePark itself. It was always meant to be an open multimedia platform, allowing the use of homebrew, with official SKD freely available. Since homebrew also means emulation, those who bought the system could just as well ignore the commercial titles and focus on various interpreters or emulators of the 16-bit systems. This caused only a small amount of games to travel across markets. Also, while the GamePark 32 community is still quite large and active, there are very few collectors of commercial software. Not unlike DreamCast, GP32 also fell victim of piracy, as it didn't require any modifications nor flash devices, only decrypted games. All of this makes finding commercial games really hard, not to mention finding brand new ones at low prices. Now for some less interesting hardware. I have finally received a package containing my Willem EPROM programmer. The website I ordered it from somehow managed to send my order to an address in Italy, and it took me some time to get everything straightened out. Luckily, after the store realized I was already waiting for a month to get my hardware, they sent the programmer with express FedEx, which reached me in about five days. I decided to go with Willem because it's cheap, and it works. It's quite enough if you want to deal with arcade PCBs and 16-bit cartridges, and I got tired of bringing my hobby to work. 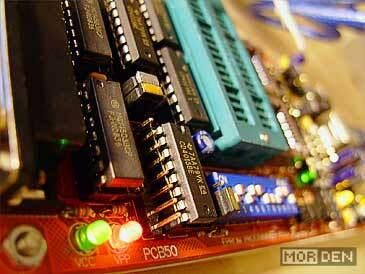 Up until now, work was where I did all my EPROM burning. Not that I can't do it there - It was mainly a question of a quiet environment and my peace of mind. Last but not least, a replacement case with a new screen cover and a full set of buttons and contacts arrived from Asia. 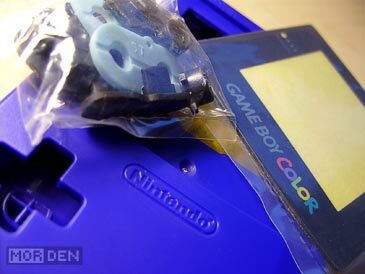 I ordered this for the first GameBoy Color I bought. It's old and it shows some wear, so I figured I'll give this old-timer a new suit. I'll probably end up keeping all of the original buttons, since they work perfectly, but the rest of the original parts will end up in a box with spares. And that's that. That's my end of 2009. I'll try to write in detail about some of the stuff I bought, once I get to play it, test it and develop and opinion. Until then, stay healthy. 2010.01.04 Mon Xbox ☆ Xbox 360 Comment Tweet This! I completely adore those GP32 games. I suppose such pretty cardboard game boxes (similar to japanese SNES/GBA releases) are my weakness. Not to mention that I'd kill for Princess Maker 2 for GBA. GP32 game boxes really are something. They're made from thick cardboard, with a glossy finish. New games always come shrink-wrapped. What's even better is how the game box opens. It opens from the top, and a slide-in piece of cardboard will keep the box closed once you remove the shrink-wrap and the sticker. This will keep the box from showing signs of wear after it's been opened and closed multiple times. Here's a better picture of the Princess Maker 2 box, and a closer look at how the game card is packaged. As you can see, it comes with a full set of stickers meant for all SmartMedia cards, and a silicone cover. This just goes to show that every single game manufacturer producing handheld titles cares about the covers, except for Nintendo, but I already bitched about that here.